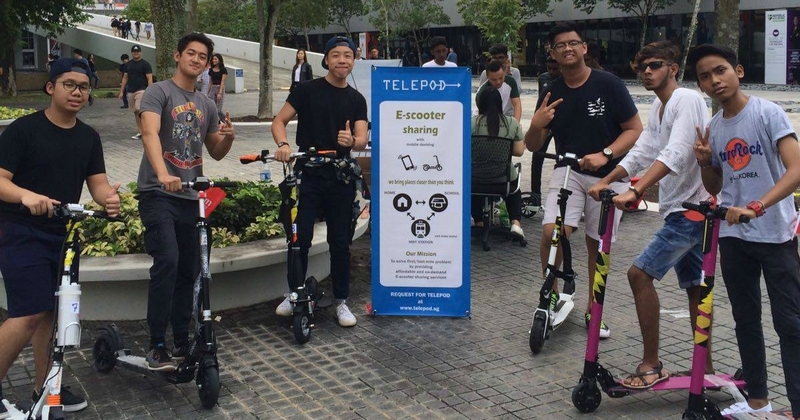 The popularity of e-scooters in Singapore is on the rise – sales have been reported to have increased by 300% this year. With more people expressing their interest in these mobility devices, a Singaporean startup has decided to seize their opportunity and rent out e-scooters to people in the little red dot. Telepod is a local startup founded by 4 friends from Nanyang Technological University’s (NTU), one of whom is a finalist in Land Transport Authority’s (LTA) engineering competition in innovative transport solutions. 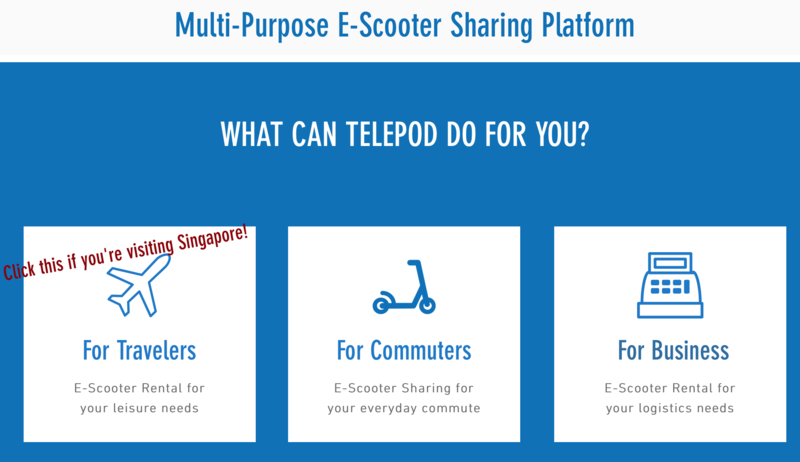 The team created Telepod as a multi-purpose e-scooter sharing platform. The app rents out the scooters via three different categories – travelers, commuters and business. According to The Straits Times, the group is planning on launching a pilot system with 20 and 40 e-scooters by the end of the year at startup incubator Social Innovation Park in Punggol. The project will allow people to rent and ride the e-scooters at Punggol Waterway area. To rent the e-scooters, users are to book them through Telepod’s app. After scanning a QR code located on the docking station, the scooter will then be unlocked for use. 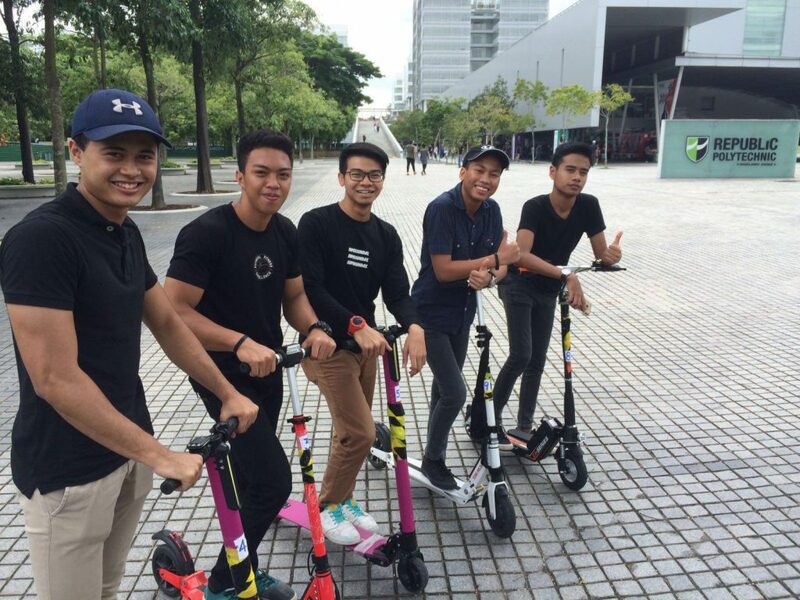 Their two-day trial at Republic Polytechnic saw their scooters being rented over 200 times at a price of $2 for 10 minutes. 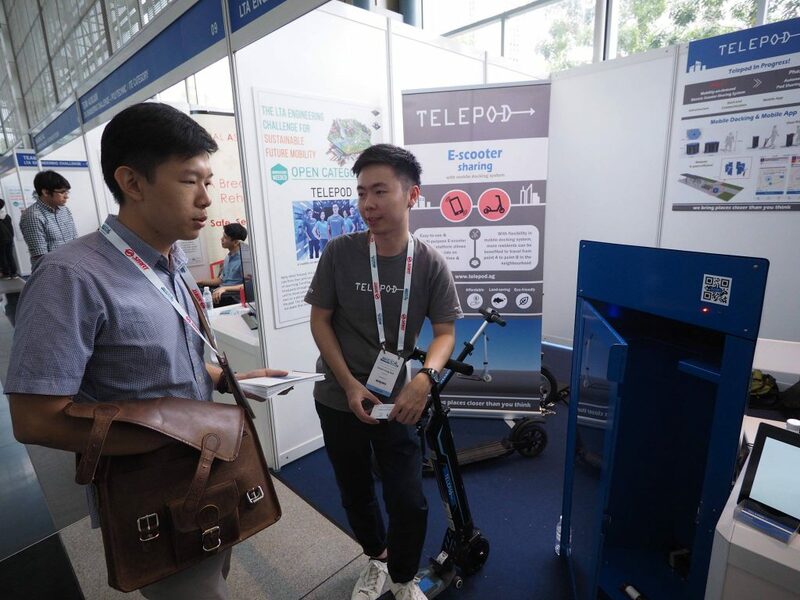 Telepod’s project is also currently on display at a three-day conference – the Singapore International Transport Congress and Exhibition at Suntec City Convention Centre which ends on 21 October. With the rise of e-scooters in Singapore, it also entails the potential dangers that come with having one. There has been a rise in e-scooter-related accidents, and it seems like even the LTA has found the need to step in. Recently, two e-scooters were seized for speeding and reckless riding as stated by a report on Channel NewsAsia. Hence, regarding safety measures of their scooters, the Telepod team have capped the speeds at 25km/h to limit the speed users can travel at. However, the responsibility of safety still does not solely fall on the team. Chan Jit Yen, the 26-year-old co-founder of Telepod, explains that riders play a huge part as well. Despite its shortcomings, the idea of using an e-scooter is actually brilliant. It reduces travelling time for users and is a convenient enough size to carry around, even in public transport. If used carefully, the usage of these scooters can be beneficial to many Singaporean’s daily lives. If anything, Telepod has come at just the right moment with their service. Why so? Well, first up, an e-scooter isn’t cheap. According to Escoot’s website, the prices range from $400 to $2,400! This is where Telepod’s service can be handy – it allows users to try them out before making the decision to splurge. It also provides those who aren’t as well-off a chance to “own” an e-scooter. At least for a little while. Needless to say, riders just need to be responsible of their speed and wary of their surroundings. Even if the Telepod’s scooters are at a capped speed, reckless or careless riding can still result in accidents. Hence, we might just need to have more rules governing the use of e-scooters, as ‘un-fun’ as it seems. Because in the end, we all want the same thing – to have fun and be safe.